He’s a wise man who values time over money. So if you’re looking for the watch of your lifetime, start with Rado. 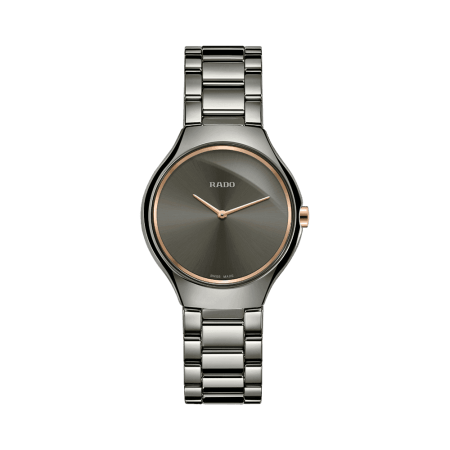 Rado’s True Thinline watches are masterpieces designed for years of service. 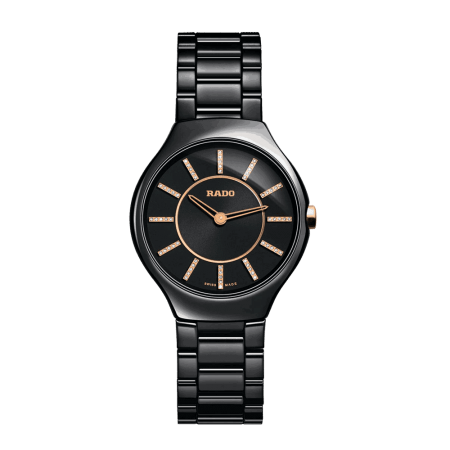 Yes, you’ll be seduced by their beauty, but Rado watches are ultimately practical. Swiss movements, scratchproof crystal, and superstrong ceramic form a long-lasting, durable and reliable watch. 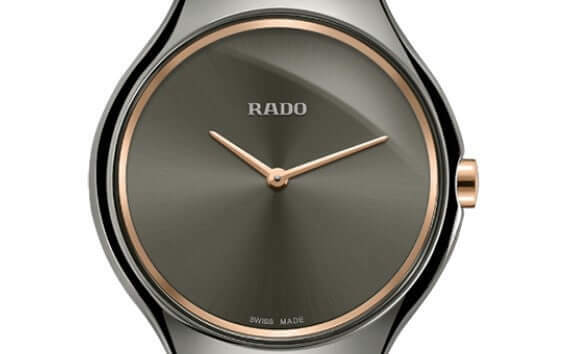 Rado True Thinline is famous for being 0.5cm thick at the widest point. The case lies smoothly against your wrist, which is both sensible and stylish. The Thinline is a minimalist design with large, clear numerals and just two hands. Similar to the Ceramica and Esenza, it features case and bracelet in the same material and colour for a pared-down look with no distraction. The simplicity of design means that the True Thinline will coordinate perfectly with everything in your wardrobe. Rado doesn’t stop innovating. It’s one of few remaining Swiss family watchmakers and its reputation hinges on development. For example, it was Rado that marketed the world’s first scratchproof watch – and that brought high-tech ceramic to the watch industry. Like steel, high-tech ceramic is incredibly strong, hard and scratchproof. But unlike traditional steel, it’s also light and hypoallergenic. The metallised finish gives it a luxurious, multi-pigmented sheen. And when you put it on, you’ll understand why Rado watches have been called ‘the most comfortable in the world”. PureJewels has sold Rado watches in London for more than 35 years. They’re firmly in the luxury category, but we believe that an investment in a watch to wear for this long is an affordable decision. 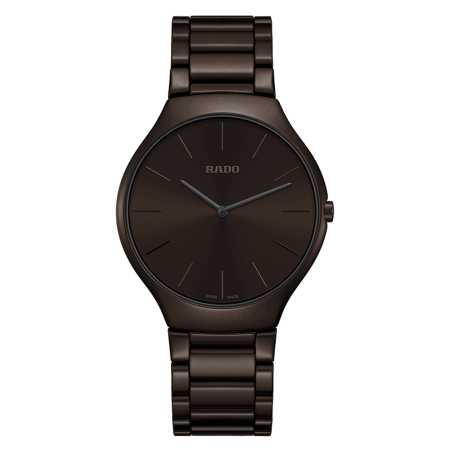 Rado True Thinline is a beautiful modern style that we’re sure will elegantly outlast the next few decades.